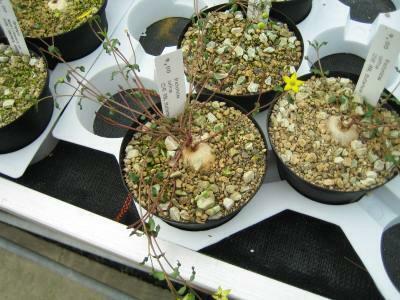 This rare member of the Asclepiadaceae family was described by Friedrich Richard Rudolf Schlechter in 1894. It is found on the eastern cape of South Africa, growing in grit or another well drained soil with little water and lots of sun. The caudex will grow up to four centimetres in diameter, the whole plant up to 25 centimetres. The flowers are yellow. *This family might be incorporated in the Apocynaceae family now.